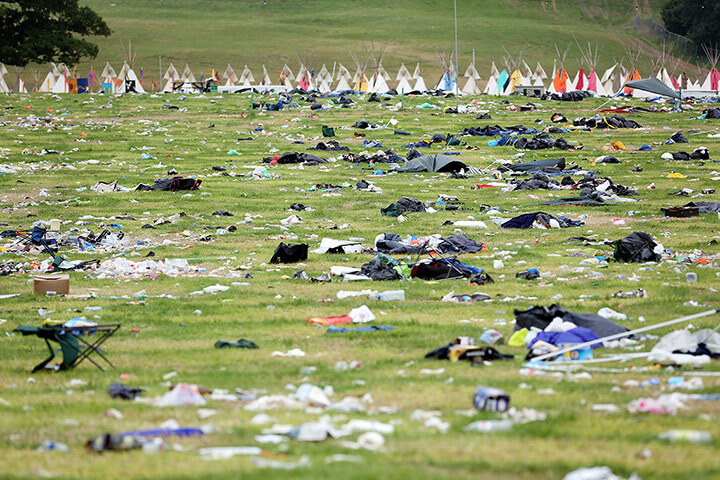 What happens to the waste left after the Glastonbury Festival? compared with 465 in 2007 - an increase of almost 50% in five years. dispose of. Read on to find out how organisers are dealing with the waste left behind. the organisers are hoping to increase waste recycling to 60% in 2013.
separated and recycled as locally as possible. their nominated charity like WaterAid, Kiota and Bhopal Medical Appeal. we reach, said the organisers. Farm in Somerset to a working dairy farm again. The Guardian Environment online has a selection of photographs showing the clean-up operation at Glastonbury.